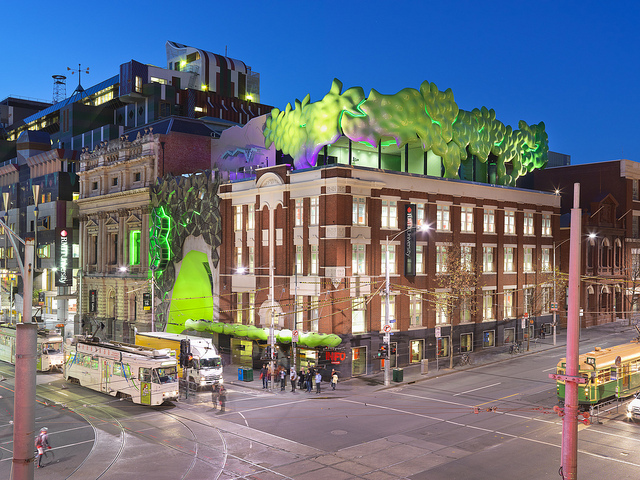 RMIT is a global university of technology and design and Australia’s largest tertiary institution. RMIT has three campuses in Melbourne, Australia, and two in Vietnam with research and industry partnerships on every continent. RMIT's School of Fashion and Textiles offers a diverse suite of undergraduate and postgraduate programs over the spectrum of fashion and textile practices in design, technology and merchandising.Graduates enjoy a global reputation for innovative design, research excellence and a strategic business focus in the fashion and textiles industry. Associate Professor Robyn Healy is Deputy Head of Research and Innovation in the School of Fashion and Textiles, she was formerly Program Director of Fashion Design (2009-2012) in the School of Architecture and Design at RMIT University, Melbourne, Australia. She is a freelance curator and works extensively with Australian and international public collections of Fashion & Textiles, collaborating with contemporary practitioners to disseminate design through experiences of exhibition, publication, and/or conversation. Robyn has held senior positions in major cultural institutions, she was the Senior Curator of Fashion & Textiles at the National Gallery of Victoria for 14 years, and the inaugural curator of International Fashion at the National Gallery of Australia. She has curated over 30 major fashion and textile exhibitions including: House Mix, National Gallery of Victoria; International fashion from various designers including Hussein Chalayan, John Galliano for Christian Dior, Vivienne Westwood et.al. and Gianni Versace: The Retrospective, National Gallery of Victoria; clothing designed by Gianni Versace. In 2003 she received a Centenary medal from the Australian Government for her contribution to Australian society. Robyn completed her PhD by project at RMIT University in 2009 entitled Striptease, an enquiry about new possibilities for exhibiting fashion in museums, which involved an understanding of the experience of wear. Jo Cramer’s background in independent fashion practice informs her current post graduate research project, The Living Wardrobe. The project explores how fashion design can facilitate an enduring product experience and redirect consumer behaviour towards a slower, more responsible mode of consumption through active engagement in the maintenance and evolution of garments. Conceived as an example of redirective practice, it is intended this research provides a model of fashion design practice to contribute towards a slower, more responsible mode of production in the fashion industry.